What a fun meeting. We did miss our members who were attending Quilt Con and we can’t wait to hear their experiences at our next meeting. Welcome to our visitors and we have another new member. How exciting! Special Thank you to those who brought treats for us to snack on during the meeting. Delicious. Here is a recap of the announcements for those who couldn’t be with us. 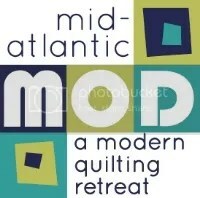 The Quilt and Sewing Fest of New Jersey is coming you can purchase your tickets in advance from Rock Paper Scissors. The show will be from March 3-6, 2016. Set up will be March 2 thank you to those who volunteered to help with the setup. Take down will be Sunday after the show. We will also need a few people to help. Many hands make light work. So if your there it would be great to help in anyway you can. We will be having a sign up for light refreshments during the meetings at the Sign in Table by Annette. Green Pincushion Swap will be due for the March meeting which falls on St. Patty’s Day. Mini Quilts for the Paper Bag Swap will be due at our April Meeting. Melissa Averinos will be coming to lecture and give us a workshop more information will follow on that. Go and check out her work at her website. Our next Field Trip will be March 12th at 3pm if you’d liked to come we will be meeting at Rock Paper Scissors for some fun shopping together. We had some AMAZING Show and Tell so lets get to those pictures now. Sarah Fader — your quilt turned out great! Sorry I missed seeing it (and all the other beauties) in person. I may come home at the end of March, just so I can get to the April meeting. xoxo to all.